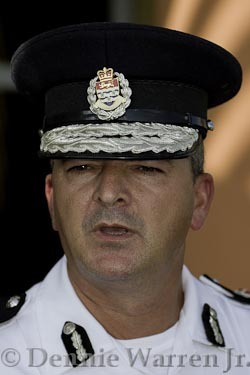 (CNS): In a short statement released on Monday afternoon the police commissioner defended the timeline of the investigations into the Cayman Islands premier, explaining that financial investigations can be protracted when the allegations involve witnesses as well as other evidence located overseas. Breaking his silence on the three enquiries involving McKeeva Bush, one of which has lasted for some two years, David Baines said that the level of interest into the investigations and the speculation was not fair to those involved. However, he said he would ensure that a thorough investigation was completed with the resources available in as timely a manner as possible. The commissioner released the statement just over a week after the RCIPS issued a statement confirming that Bush was the subject of three police enquiries. Last summer the public was informed of the first investigation, which related to a letter Bush sent to former Cayman landowner and Texan developer, Stan Thomas, as a result of various document leaks and then an eventual admission from the Governor’s Office. The fact that there was more than one probe was revealed by the governor on Friday 20 April during a press briefing with the British OT minister, Henry Bellingham. A police spokesperson confirmed on Saturday 21 April that the premier was at the heart of a second investigation into financial regularities, the details of which have not been released, and also a third, which involved the recent seizure by the authorities of a shipment of unlicensed dynamite. However, both the police and the governor have remained tight lipped about the probes, one of which has been underway for some two years. As a result of what the commissioner called “a considerable amount of public, political and press speculation” regarding the time it is taking to complete the investigations into the premier, Commissioner Baines said he could not comment specifically about the ongoing enquiries but that every investigation undertaken by law enforcement agencies was different. The police have said little else about the probes, which have caused considerable alarm in the community, nor has Baines revealed why the premier has not been interviewed in connection with any of the enquiries involving him. As a result, the premier has persistently stated that he has not been informed of any investigations relating to him and any allegations would be baseless. In a statement released last weekend he said he has done nothing wrong and there is no reason for him to step aside, as he pointed the finger at UK civil servants in the FCO who, he claimed, were involved in a conspiracy to discredit him and the Cayman Islands. (CNS): Officials from Hazard Management and the Port Authority said that a recent mock cruise ship disaster exercise has helped government officials shape an emergency plan in the event of a real incident. As one of the most popular cruise ports-of-call in the region, it is important to be prepared and to respond appropriately and efficiently in case of such an incident, a spokesperson said. The mock major cruise ship ‘accident’ in George Town Harbour saw numerous officials, in particular from the emergency services, undergo the planned exercise. The operation, code-named ‘Exercise Save Vessel’, was the second comprehensive table-top exercise to test Cayman’s ability to respond to an incident involving a cruise ship. The first took place in 2007. “This exercise was very useful, and helped us identify gaps in our plans, which will in turn allow us to improve our planning and response capabilities,” Omar Afflick said. Meanwhile Joseph Woods Jr, manager of cruise operations at the Port Authority, said it was a valuable exercise where the agencies involved in emergency response work cohesively to fulfil their roles and responsibilities. Once evaluated, he said, future exercises will test specific components of the refined plan. Disaster Management Adviser Frank Savage, Miami-based Prison and Law Enforcement Adviser Larry Covington, and Head of the Caribbean and Bermuda Section Tony Bates. all from the UK’s Foreign Commonwealth Office (FCO). observed the exercise. .
Savage said it was one of the most professional desktop exercises he seen. “I’m fairly confident that you now understand the magnitude of such a disaster … and I’m heartened and reassured of your proficiency in the area of disaster management,” he said but pointed out areas of the port response plans that need scrutiny and possible revision. These issues include the need to consult with the owner of the vessel, minimising reputational damage and legal liabilities, dealing with the global media, managing and sorting the rescued passengers, and using the services of local tourism providers. Bates, who has seen several years’ service with the Governor’s Office in the Cayman Islands, also thought it “was a great learning exercise, and were such an event to occur the UK’sDisaster Coordination Group would begin their work “within the hour”. He said the FCO would also mobilise its Crisis Management Department and Press Office, working closely with Cayman’s Governor and government officials. The UK would also coordinate the use of assets offered by the USA and regional countries such as Honduras which have naval capacities. Bates said that the Miami-based FCO Rapid Deployment Team would immediately come together to offer help from a distance, or to send assistance. 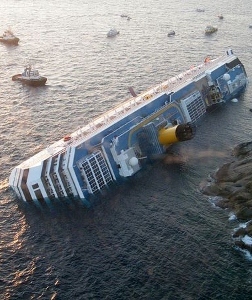 In this exercise the scenario saw a vessel with over 5,000 passengers and crew aboard hit a reef, rupture its hull and lose power in the process. The simulation exercise served to test the Port Disaster Contingency Plan as well and other plans of the Emergency Services and the National Emergency Operations Centre (NEOC). The drill provided a credible representation of what could happen in a maritime disaster, and required the country’s response mechanism to be fully employed and tested. It incorporated the hierarchy of the government, a shipping agent, all emergency response entities and the 17 sub-committees of the National Emergency Operating Centre, as well as non-government organisations and private entities. (CNS): Caribbean school children are already showing signs of developing diseases such as diabetes and hypertension in later life because of the high likelihood of them being overweight or even obese, according to a series of studies presented at last week’s Caribbean Health Research Council’s conference. More attention needs to be placed on implementing routine screening of children’s weight, blood pressure and BMI, doctors said, to prevent youngsters developing potentially deadly diseases when they get older. Studies in the region have shown elevated blood pressure among overweight or obese 9 – 10 year olds. A quarter of school age children were either obese or overweight and over 50 per cent of girls surveyed were overweight or obese by the time they left school. A study carried out to determine the occurrence of chronic non-communicable diseases and their relationship to a child’s weight in Barbados by a team of physicians looked at over 600 children. Doctors found there was a prevalence of elevated blood pressure among overweight children. 17 per cent of allchildren showed these signs but 31 per cent of overweight children had high blood pressure. 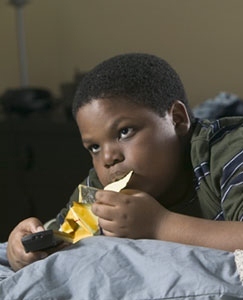 Other conditions that occurred more frequently among overweight and obese children included general sinus-type symptoms such as stuffy and runny nose, itchy and watery eyes, allergies, as well as eczema and asthma. Dr St John who presented the findings at the Marriott Beach Resort said that early detection of chronic non- communicable diseases was extremely important and therefore weighing children regularly was crucial. She went on to say that the younger an individual was measured the better the doctor’s ability to predict whether they may go on to developing such illnesses. The study concluded that there was a strong relation between elevated blood pressure and increased body mass. Dr Lesley Walwyn spoke about the findings of a similar study in Antigua and Barbuda and agreed with Dr St John that there were currently no protocols in place forscreenings of non-communicable diseases among young people. Her study looked at the prevalence of obesity, high blood pressure and also a condition called acanthosis nigricans (AN), a skin condition more prevalent in those who have type II diabetes. Over 4,000 primary and secondary school children in her country were studied and the prevalence overall of overweight or obese children was 26.5 per cent. The study also found that 14.1 per cent of all children surveyed were either overweight or obese when they first entered primary school at age four, but this figure jumps to 35 per cent when they left secondary school. While boys generally were more overweight than girls when they started school, a huge 50 per cent of girls left school in that condition. AN was found to be present in 16 per cent of all participants but 44.6 per cent of all overweight/obese children showed signs of this skin condition. (CNS): The Department of Environmental Health is warning people not to dump their waste on government property and asking the public to report instances of fly-tipping when they see it. The department said that teams from the solid waste section had to deal with the on-going littering and illegal dumping of waste at various Crown properties throughout the island, especially in West Bay and George Town. Officials said that under the Litter Law anyone who leaves any litter public place is guilty of an offence and liable on conviction to a fine of five hundred dollars or to imprisonment for six months. “Littering and illegal dumping of waste is unsightly, defaces property, encourages pests, creates nuisances, affects cleanliness, poses risk to public health, and shows a lack of civic pride in the community,” said Roydell Carter, Director of Environmental Health. “Persons involved are strongly urged to immediately stop such practices and to take the waste to the George Town landfill for proper disposal”. Residents should report incidents of littering or the illegal dumping of waste in their community to the Police or the DEH. “It’s vital that reliable information is reported to enable appropriate actions to tackle this serious problem. 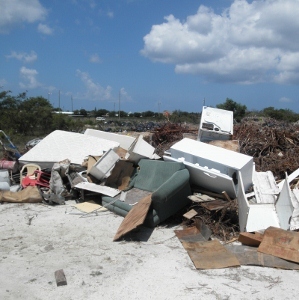 There is absolutely no need for littering or illegal dumping in these islands,” he added. The George Town Landfill is opened 6 days a week (Mon to Sat) from 7 a.m. to 6:30 p.m. Also, the public drop-off facility at the landfill remains open 24 hours a day, every day. The public can contact the Police by telephone on 949-4222 or call the DEH at 949-6696 to make a complaint or to obtain further information. (CNS): Grace Christian Academy, Central Caribbean Marine Institute (CCMI), Cayman Prep and High School, Savannah Primary School and John Gray High School are the five finalists in dms Organization’s annual education award. Preserving Cayman culture, a green guide for young people, a robotics programme, technology based learning and the documenting of students' transitions are the subjects covered by the five schools competing for the the 2012 Joanna Clarke Excellence in Education Award anda possible funding of $12,000. Organisers said the five finalists were chosen after a rigorous selection process that evaluated each project based on the JCA criteria of promoting excellence in education. Krista Pell, VP of People Development at the dms Organization and JCA Committee, congratulated the final five finalists. She said the committee saw many worthy applicants. Grace Christian Academy’s Enrichment Programs for Students has requested funding in developing eight school-based clubs that will serve to preserve Cayman’s culture and to encourage active participation in the community. The Central Caribbean Marine Institute’s (CCMI) Young Environmentalists Green Guide wishes to use potential funds for the development of the Young Environmentalists Green Guide. CCMI has produced a number of Green Guides written to an adult audience which have been very successful. Cayman Prep and High School’s Robotics Curriculum has applied for funding to further develop their robotics programme. The programme aims to excite and inspire their students about mathematics, science and technology. Meanwhile, Savannah Primary School’s Bringing Technology to the Greater Community requested funding for the installation of interactive white boards and projectors to enhance a more rounded, technologically advanced mode of education for staff, students and the PTA promoting community learning. Finally John Gray High School’s The Move project seeks to record the transition of the John Gray High School as it moves sites by capturing the voices, personalities and thoughts of the students, staff and families during this historic move. The winners of the award will be announced at the awards dinner on 12 May at 6pm at Grand Old House. Sections of the north-bound lanes will be temporarily diverted and the south-bound lanes will accommodate two-way traffic. Drivers will still be able to travel north and south on Esterley Tibbetts Highway but the northbound traffic will be temporarily merged into one of the southbound lanes, which will accommodate two-way traffic during the road works. “The National Roads Authority has approved plans for the construction of a road and roundabout at Governors Way, as part of our on-going supervision of the highway extension,” said NRA Acting Deputy Managing Director Paul Parchment. “Traffic flow and worker safety are of paramount importance, and we have ensured that temporary lane alterations will create minimal disruption for drivers while allowing for protection of road workers on site,” Parchment added. The construction of the new road and roundabout will result in the closure of the existing privately-owned Governors Way road between Esterley Tibbetts Highway and West Bay Road. The closure is in anticipation of the land being made available for proposed new Public Beach Park and facilities on the site Dart stated in its release. “Plans include parking, playground and camping facilities, plus pedestrian and cycle paths to allow the public safe and direct access to the beach. In the meantime, there will be a temporary parking set aside for beachgoers. Parchment said an area for public parkingwill be made available close to Public Beach, at the intersection of West Bay Road and Governors Way. Dart admitted it was going ahead with the project even though the Agreement is still being independently reviewed by PricewaterhouseCooper, to assess value for money to the government and people of the Cayman Islands. The highway extension is part of a proposed plan that will see a stretch of 4,000 feet of the West Bay Road closed and swapped with Dart for land in Barkers and West Bay. The developer has agreed to fund the extension and has given government $5 milllion from a promised payment of $20 million. The deal has caused considerable controversy and several activists groups are opposed to the road closure and are continuing to campaign against it. Despite the opposition, government entered into the deal with Dart, which will eventually be part of a wider project that includes the development of a five star resort on the site of the former Courtyard Marriott. (CNS): At least two Cabinet ministers have stated publicly that they will be supporting the premier despite the three police investigations surrounding him. Health Minister Mark Scotland has said that all of the UDP members of the Legislative Assembly will be voting against the opposition’s no confidence motion and will not be asking the premier to step aside. Scotland has said he wants to see a speedy closure to the investigations but he did not believe the premier needed to step down as there was no constitutional requirement for him to do so. He said the issue was made worse because of press coverage and the distortion of the facts. Police confirmed last week that McKeeva Bush is the subject of three RCIPS enquiries, two into financial irregularities and the third concerns an unlicensed shipment of dynamite. “The continued carrying of this in press and by the opposition” was where the damage was occurring, Scotland said on Rooster’s morning show, Cayman Crosstalk, on Friday. Scotland stated that if there was any damage being done to Cayman’s reputation it was because of the continued press coverage and the behaviour of the opposition – not, it seemed, the fact that the premier was the subject of three police probes. “I believe the greatest damage is being done now by the continual coverage in the press in the negative way it is being done … and by the opposition who are perpetuating the coverage in the press,” he said. Scotland believed that the real damage would only be if there was any outcome from the investigations but the damage now was because it was making the headlines every day. “With the stories being embellished,” he said, accusing the media of speculation and rumour. 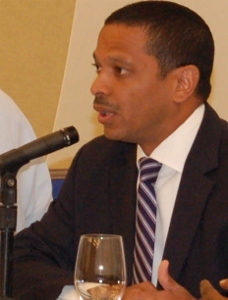 Scotland asked why it was that the investigation in Arden McLean and the accusations made by the premier about his CUC bills not being paid was resolved quickly, although he acknowledged the point that McLean had cooperated fully with the Anti-corruption Commission by going to the police and releasing all the relevant documentation. He said that the investigations had to besolved quickly as he feared that they would carry on up to the next election, but denied that the situation was impacting on government and the day to day functions of Cabinet. Although Rolston Anglin said on Tuesday that Governor Duncan Taylor had not discussed issues with the Cabinet members, Scotland revealed that on Thursday Taylor had informed the members that the investigations were going on but he had given no details. Scotland said all of the members would stand in solidarity with the premier as they had done before and he did not believe thatleaders had to step down because of accusations. Despite the very recent example of the speaker of the Australian parliament stepping aside until he had cleared his name, Scotland said there were other examples where leaders did not step aside. He said that the US president didn’t step down, nor did Charles Clifford step aside when he was minister and under enquiry. The minister said it might be the desired outcome of the opposition for the premier to step down but that was not what the UDP members wanted; they wanted a speedy resolution to the investigations. (CNS): Activists in the district of Bodden Town fighting the relocation of the landfill to the district hit out at government and Dart this weekend over their failure to produce key documents. A spokesperson for the Coalition to Keep BT Dump Free said none of their questions or requests for information had been answered and a planned meeting between the campaigners and their MLA and cabinet minister Mark Scotland has still not been set. “We remind Government and Dart that they still haven’t answered a single one of our questions, or produced any of the documents we asked for,” Vincent Frederick, a leader of the coalition said, adding that the people have a right to know. The coalition believes government and Dart have chosen their site in advance of any study or consultation, and regardless of the consequences for the residents, businesses and environment of our despite claims a study was conducted. On the ForCayman Investment Alliance website which is Dart’s promotional portal for the proposed deal it intends to enter into with government which includes the relocation of the landfill, the firm talks about a study which had identified a 110 acre site, between Breakers and Midland Acres, as being the most suitable location for the new site. However, the coalition said their members have asked to see the study, but it has not been made public. “Government has also broken their promises to the Coalition,” Frederick stated as Scotland had failed to convene a meeting with the activists despite their requests and his own suggestion. The coalition also said that Scotland too had spoken about others studies regarding relocating the landfill and although campaigners had asked to see them more than four months later, nothing has been received. Gregg Anderson another coalition leader issued a warning about the proposed project for Bodden Town as he said the recent flyer circulated by the group features a ‘master plan’ but this is not what Dart will be building. “The diagram in the flyer is in fact a ‘conceptual image’ of ‘potential future phases’, and not ‘Phase I’ which Dart would build,” he said. “This ‘first phase’ does not include eight engineered cells as shown in the FCIA flyer. There is no yard waste composting area, no hurricane debris management area, no bailing and transfer station, and certainlyno waste-to-energy facility. 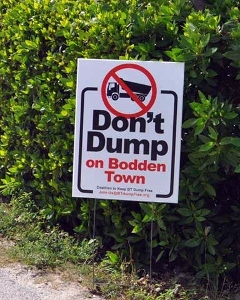 What Bodden Town would in fact be getting has a single ‘landfill cell’ at its core, at which the island’s trash would be dumped, piled up, and left there,” he added. Operations of the new facility will still be the responsibility of government and with the current funding issues the coalition members said government does not have the money to create the eco-waste-management park that has been talked about. “The same operators who currently run the GT landfill will operate the BT landfill with the same guidelines of covering the fill on a daily basis as they are meant to do today. Why are we expected to believe that the same operators are going to suddenly do things differently from what they currently do. And how much extra funding will the new facility get from government to guarantee it will not turn into another GT landfill within the next decade?” asked Anderson rhetorically. The Coalition has repeatedly asked to see the proposed government operating budget, and the source of funding, but again it has not received any answers members said. Once phase one is completed the activists believe the new dump will be forgotten by Dart and left to the same people who the campaigners say have mismanaged the present dump since 1983.